As a basketball player, you need a bag, which is going to be able to fit a lot of bballgear inside. Choosing the right gym bag for hoops enables you to carry around your basketball, plus everything you need without having to stuff it so full that it bursts. 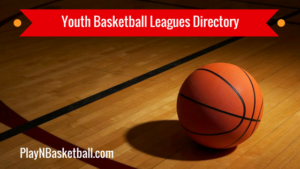 This article will give you a list of some of the best basketball gym bags by some of the biggest brands in the sport, as well as giving you information on what you should be looking for in a bag. What’s the difference between a basketball gym bag and backpack? Soljer Basketball Sports Gym Bag with Wet Compartment Review: This cleverly designed gym bag may not be produced by a well-known brand, but Soljer have come through with the goods. This bag has a separate compartment for your basketball, or if you don’t have one with you, your wet clothes. Those of you who like to carry around a couple of basketball’s need not fear either, as there is plenty of space for your second one in the main compartment. There is one final separate compartment for your dirty shoes complete with a breathable net to ensure their smell doesn’t remain stuck in the bag. With an adjustable shoulder strap as well, this bag has it all, and is the best gym bag with basketball compartment available. Nike Elite Max Air Team Large Basketball Duffel Bag Review: This is the best basketball gym bag by Nike available on the market. Made in the USA, this duffel bag is extremely spacious, and will comfortably fit everything you need and more inside. Made in the USA from polyester, it is one of the most durable bags on this list, and is complete with a water-resistant tarpaulin to ensure all your belongings remain dry. The shoulder strap is extra comfortable, meaning you won’t feel any discomfort during your game after lugging a full bag around. On top of this, it looks great with the simple design complimented by the patented Nike swoosh on the side. Under Armour UA Undeniable 3.0 LG Duffle Bag Review: Under Armour are the biggest challenger to Nike’s throne as the best sports brand in the world, and this bag is a good example why. Made from 100% polyester, this product excels in its durability. It is tough, doesn’t develop abrasions, and is able to resist the elements, meaning if you’re forced to run through the pouring rain to get to your tip-off, your bag won’t feel the effects. 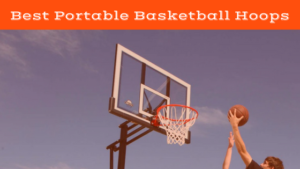 It is more than big enough to fit a basketball, change of clothes, and shoes, and both the shoulder strap and top grab handle are padded and comfortable. Overall, this is the best basketball gym bag by Under Armour. Adidas Team Issue Duffle Bag Review: This stylish product is available in a huge array of different colors, ensuring you’ll look like a pro as you turn up to your game. Fortunately, this isn’t the only benefit to the Adidas Team Issue Duffle Bag, as it also happens to have great functionality. With a lifetime warranty, you know this product is going to be falling apart anytime soon, no matter how much use it might get. It has a hydro shield water-resistant base to ensure it isn’t affected but he elements, while a ventilated side pocket keeps your smelly clothes and shoes away from your clean gear. This bag covers all bases, and is the best basketball gym bag by Adidas. Molten Basketball Bag Review: Put simply, this is a huge bag. You’ll be able to comfortably fit everything you need to within it, without having to call upon your Tetris skills. According to Molten, up to six inflated basketballs will fit inside this bag. Whether or not this is necessary depends on how many balls you like to take to your games, but it is convenient to have all that extra space. Despite the size, the bag manages to retain an element of comfort, and doesn’t feel at all clunky to carry around. An adjustable strap caps off what is an excellent bag. Turns out Molten don’t just make good basketballs. Champion Sports Deluxe Basketball Carrying Bag Review: Like the Molten Basketball Bag, this gym bag makes the claim that it can fix six inflated balls inside it. Unfortunately, it’s not as comfortable or convenient to use. There is just a single compartment, meaning your phone and wallets are at risk of being crushed under the weight of those six basketballs! On top of that, it looks a little unusual, resembling an oversized briefcase more than a gym bag. It is relatively inexpensive and can serve the purpose of carrying large quantities of gear, but there are plenty of better choices than this one. DALIX Dagger Basketball Duffle Bag Review: This bag is relatively well thought out, with a whole lot of pockets to keep separate items away from each other. The design isn’t bad, but unfortunately the products from which the bag is made simply aren’t good enough. Many reviews note the lack of durability, and this bag has the tendency to develop tears in the seam after just a few weeks use. There are certainly some positives to the way this bag is designed, and it is relatively inexpensive, but you will likely need a new one after a short period of time. With this in mind, it simply isn’t worth it, as there are plenty of other similarly priced items, which will last for a lot longer. 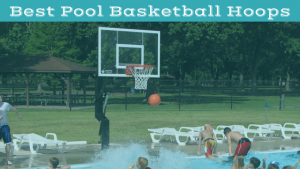 If you want to end up with the right basketball gym bag, there are a number of factors you need to consider prior to your purchase. Otherwise, you may end up with a bag, which doesn’t fit your clothes, one that falls apart after just a few uses, or one which simply doesn’t look good. Here are a couple of the most important factors. Durability: This is key. A bag, which doesn’t, last is not a bag worth buying, and having to re-purchase the same or similar bags over and over again can put a huge dent in your wallet. Basketballers often carry around wet clothes, dirty shoes, and a big heavy basketball, which can put a significant strain on a bag. If the bag isn’t made of the right materials, it can begin falling apart pretty quickly. In contrast, a good bag can last for years and years, carrying around all you need with aplomb. Generally, durability is tied in with price, but if you search hard you can usually find some cheaper bags that don’t fall apart, or some more expensive bags of worse quality than their brand suggests. Additionally, finding a pair of the best shoes for basketball will ensure additional comfort under your favorite bball Shoes. Size: How much space do you need? This is a question you need to ask yourself prior to your purchase. Some people, for example a coach, might be literally carrying around five or more basketballs at once, and in the case of these people, a big bag is entirely necessary. In contrast, if you just play some casual hoops, don’t carry a ball with you, and simply need a change of clothes, your needs will be completely different. Make sure you think about this before you buy your basketball bag, as it can have a major impact on the bag you choose to purchase. Appearance: This may not be as relevant for everyone, but the old mantra of ‘look good, feel good, play good’ starts before you get on the court. If you have a bag, which makes you feel like a true baller, you’ll strut onto the court ready to pound your opponents into the ground. In contrast, if you rock up carrying a plastic bag with some old clothes stuffed in it, or a dodgy basketball bag falling apart at the seams, you’ll feel self-conscious, and will be less confident on the court. With this in mind, it’s important to buy a bag, which looks the part. Basketball gym bags and basketball backpacks perform essentially the same function; they help you to carry around your things. They are, however, a completely different product. A backpack is like the bag you might see school kids wearing, with two straps wrapping around each shoulder and the bag resting on the user’s back. In contrast, a gym bag generally has two handles on the top, so you can carry it like a briefcase, as well as a single long shoulder strap, which you can place over a shoulder and have the bag dangling around your hips. 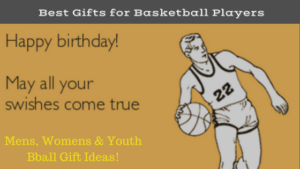 Gym bags might not be the most important piece of basketball equipment you will be, but that doesn’t mean you should go about buying them without thinking. The best basketball gym bag needs to be durable, comfortable, and look good. Follow the advice outlined here, and you’ll find a bag that fits your belongings, lasts, and allows you to carry every piece of gear you need to take your game to the next level.